Well…the big news is, THE THIRD SEASON OF “THE FLASH” IS CONFIRMED! Grant Gustin a.k.a. Our very own Barry Allen/Flash officially confirmed this on his Twitter handle some time ago. And can you guess what makes things even more exciting? FLASHPOINT!! For those who are new to the world of comics, don’t worry. Just read this piece with patience. Everything would be explained in this article and in the ones to come later. First of all, we revisit what we already know. At the end of season 2, Harrison Wells and Jessie from Earth-2 went back to their universe never to return again. Jay Garrick returned to his universe. And the most shocking event of all, Barry went back to the timeline, again, to save his mother. This time, he succeeded. And as he did so, his former self-started fading away. This is where the finale episode ended. Now, in the DC Comic Universe, this has happened once. “Flashpoint,” the comic written by Geoff Johns and Andy Kubert is the one I am talking about. The TV series seems to be moving that way. 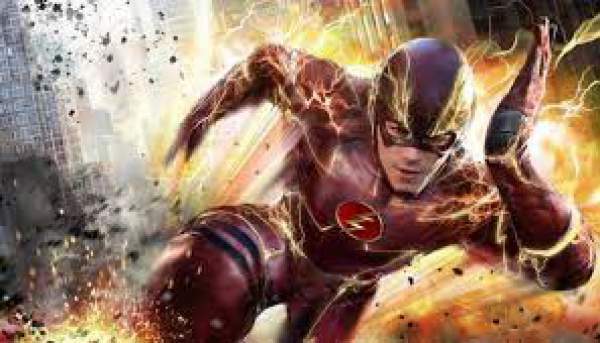 In the comic “Flashpoint”, Barry Allen went back in time to save his mother from dying and does so, only to alter the timeline and screw it in epic proportions. His actions led to drastic changes in the history of everyone we know in the DC Universe. Eventually, Barry can see different timelines which later merge to create the New 52 DC Universe. Only Barry remembers the current timeline and the alternate ones. This changes a lot of things about our superheroes as we know it. Like, Thomas Wayne (Bruce Wayne’s father) is the Batman in this new timeline, Superman is a captive of the US Government and lot many other changes. This ark is extremely popular among the fans, and we already have an animated DC movie on it. It also leaves a lot of scope to rope in other characters and brings back characters like Captain Cold. The return of Harrison Wells and Jessie has been confirmed, but it is not yet clear what their roles would be. Other existing characters are expected to remain in the show. We’ll only know that when we get more information. The Flash Season 3 premieres in October this year.